With the Subaru Forester 2.0XT axed in favor of a trim level called Forester Sport, the WRX and WRX STI are Subaru’s only true performance cars. The BRZ is a sports coupe, but there’s no turbo model at least yet. The 2018 WRX/STI is still selling well in the U.S. Last month Subaru of America reported the performance model sold 3,028 units which is a 0.7 percent drop compared with last year’s numbers. Year to date, the WRX/STI (-6.5) saw the smallest drop in sales in the Subaru stable. Forester (-10.5), Impreza (-11.5), Legacy (-17.4), and BRZ (-11.5) were also down. Crosstrek (+65.3) and Outback (+3.6) are the only two models up for the year. STI just celebrated their 30 year anniversary and it looks like there are good things coming for the WRX STI performance sedan. 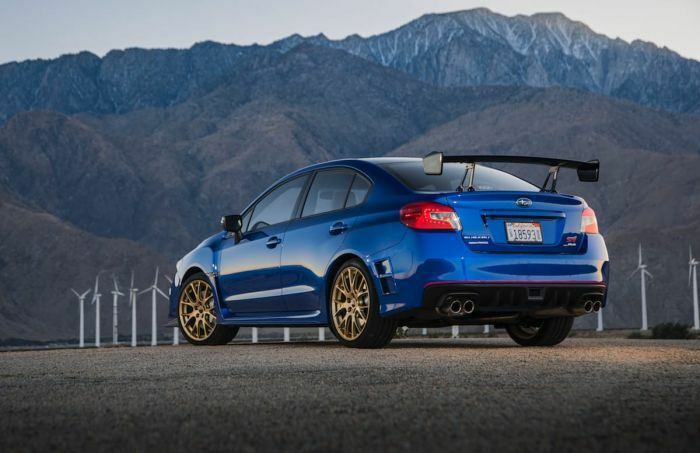 This year, Subaru of America launched the 2018 Subaru WRX STI Type RA for their 50-year anniversary in the U.S. with more power and higher performance upgrades over the standard model. Only 500 examples were produced and they sold out quickly. The WRX/STI id due for a remodel, but Subaru undertakes redesigns less frequently for the STI, every six or seven years. The first-generation WRX lasted six years (2002 through 2007) and the second generation went seven years (2008 through 2014). Subaru has not announced when we will we see that model, perhaps as a 2020 or a 2021 model. Sad commentary on where Subaru is headed from an enthusiast's perspective. In addition, sad to see Subaru go virtually mainstream in the span of less than two years. However, I guess that's where the money is in terms of sales and based on their success it's hard to disagree with their approach. I'm happy I got my 2017 XT when I did - it will be a performance relic in the years to come. The next question is what happens to the Outback? We can guess that the 3.6R will be shelved. However, going with a 2.5 CVT engine across that line may not work. I suspect they can pull it off with the new Forester, sales will tell. Trust me, going with a 2.5 CVT engine across that line WILL work for me. Think back to 2008, the last time that Subaru tried to exit stage right, and go all business no party on us. They quickly ditched those plans the next sales year because their sales tanked. That's why for 2009 they stiffened the suspension, dropped in the much needed 265 hp 2.5l with a new td05 turbo, and much more aggressive tune on the ECU from the factory. A couple years later the flared fenders, and wider wheels and suspension again. Then in 2015, they graced us with the best WRX they have offered hands down. I hope your right. The new Forester will be a good test. I really don’t think there’s enough change in the 2019 version to excite folks. The turbo brought folks into the line and attracted the buzz, even if sales of it were only 5% of the car line. A rumbling STI is an exceptional experience for any driver-enthusiast. The mechanical feeling of that engine will be missed most likely in the next gen. I wonder after the journalist decide that some of its competitors are better just because they are faster, how does that show in numbers. The new Type-R has an exceptional up to date engine that in Japan has won comparisons to the STI with the FA engine and still the experience... Hm? Yeah. I wonder how good will an STI do without the rumble. There will be customers, sure, but without the Subi sound, it would be another experience. I hope that the Ascent does well, the Crosstrek so that the company makes so much money, that the can keep the rumble in the next gen for the Subi enthusiasts.